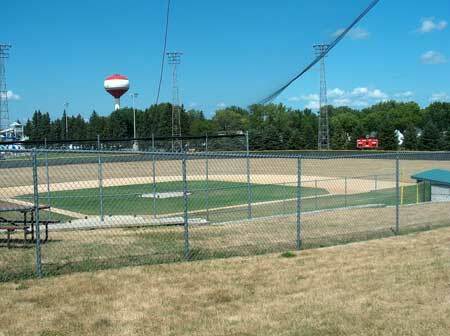 This park facility enjoys extensive use by both the City of Redwood Falls and the Redwood Area School District. Located in the center of the community, it is within easy walking distance via a comprehensive trail and sidewalk pedestrian system. This park includes a baseball field and stadium, playground equipment, two tennis courts, concession facilities, and the Redwood Falls Aquatic Center . This park also hosts a wide variety of community events, festivals and activities during the summer. The Multi-Skate Park is also located at the Memorial Athletic Complex. The Multi-Skate park hours are from 7:00 a.m. to 10:00 p.m.
Skateboards and in-line skates ONLY! Protective equipment such as elbow and kneepads and a helmet are recommended. All skaters MUST act in an orderly, safe and respectful manner. Please use courtesy toward other skaters while using the park. No drugs, alcohol or tobacco products. No graffiti, loud music, or inappropriate language. Food or drink is allowed by the picnic table area. No food or drink inside fence. Skate at your own risk. The City of Redwood Falls is not responsible for accidents. The City of Redwood Falls reserves the right to terminate the time of the court, if park rules are not obeyed. In case of an emergency, call the police at 637-4005.